We headed up to Derry on the Friday, staying in the friendly White Horse Hotel. It was a beautiful evening, so before a good meal in Fitzroys we walked the course. On Saturday, we arrived at the busy starting point at 9, with time for some more photos as well as warm-up. Run Director Gerard Harkin gave everyone a warm welcome, emphasising the need to give way to the (many) pedestrians, cyclists and other runners that were about. Colleagues Riona and Nate from BT accompanied me, and was also good to see Riona's family and friends. Swapping notes with someone who has journeyed further down the road can be an encouragement. Derry City was a beautiful run. At half-way, you run around a statue (which was wearing a parkrun jersey!) and head back the way you came. Many runners on the return leg encouraged people still making their way to the half-way point. One advantage of the Derry course is the clear visibility of the whole course - you know how much further you still have to go. Kerrie McIlmoyle, who I'd met at Run #8/22 at Limavady, was first woman finisher at Derry. Kerrie came back to run the final straight with me. With Kerrie's positivity, I went for a few final speed bursts. So, thanks to Kerrie for helping me achieve a new PB, by 3 seconds!, of 35:10. Afterwards, Fidelma could see I needed to recover and she gave me her water bottle. Seems a small gesture perhaps. However, in the moment, it meant a lot. You never know when a simple act of insightful kindness will 'land' powerfully with someone. "We bridge lots of divides." Derry City photo album is here - photos from Saturday, and also some from the Friday evening. Now, we're into the Final Three - Ecos (Ballymena), Larne and finally Stormont 24-September. Heading to Falls parkrun, it was raining at home and, from the car, grey clouds hid the Belfast Hills. But the weather turned out kinder than expected. Great to have supporters Dennis & Elaine Mercer along again. Sarah Williamson had offered to pace-set, including a few walk breaks. Thanks to David Price for finishing with me today, and congrats on a new PB today. Run Director Stuart Kennedy gave a warm welcome to everyone. Sarah previously ran with me at Queen's in May. Again, as we ran together, we swapped thoughts on leadership, leadership development and experience of corporate organisations. Sarah is a highly effective mentor and encourager, taking time to understand both my need for some walking (I'm still cautious after injury) and my aspiration for 5k in less than 40 minutes. We managed both. Several people kindly gave anonymous donations to LLNI, logged here with 0% commission at BT mydonate. After the run, Conal Corr spoke with us. A medical graduate, Conal is starting out on his professional career. Conal has also been fund raising for charities, including Leukaemia research, and it was great to meet him. Thanks to everyone at Falls today for the welcome and support. Ruth and I intend to be back to this beautiful location. One of the benefits of doing this circuit of all NI parkruns has been discovering so many scenic places we have never visited. Falls' photo album is here. We're looking forward to next week's run at Derry - making a Bank Holiday weekend of it - after which we're into the Final Three! I had been anticipating Colin Glen as one of the more hilly courses on my tour of NI's parkruns. With injury behind me, my physio recommended a conservative approach to running - "don't over-extend your stride" - both up- and down-hill. Also, "parkrun Jim" offered to run alongside us. Jim Clinton was the first person in Ireland to complete 250 parkruns; our run together was his 275th. Jim now has #500 in his sights. The initial 2km climb was not as tough as I had feared. I was guided well. The beauty at the top, running around the Lake twice with the Belfast Hills looming down on us, means that Ruth and I will be back to Colin Glen for a walk soon. The Volunteer team was very friendly, with a warm welcome from Jim Bradley and Team to everyone including a group of "Steps To Health" graduates. A number of people kindly donated to LLNI - with £111 transfer recorded here. We drove home to join friends Linda & Derek Bell who were having a coffee morning in support of LLNI. This was very well supported - photos & amount raised are on the blog and Facebook. Thanks to everyone for the support which has been, and continues to be, powerful. Friends Linda and Derek Bell decided some months ago to have a coffee morning in support of LLNI in their home. Yesterday, after the Colin Glen run, Ruth and I headed home to be join the community of neighbours in our street, Beechlands Park, and family and friends. The craic was good as we caught up with each other over coffee, tea and loads of treats which people had kindly prepared. Thank you to everyone who came along and supported - an amazing £976 (!!!) was raised. As the BT Belfast Bake Sale also showed - Northern Ireland people like their coffee and cake. A special day today at Cookstown, the 16th #TimPageFitForLife parkrun; Ruth and I encountered some very special people today. Ailis Corey has faced treatment for Hodgkin's Lymphoma. This included an 'allogenic' stem cell transplant. In December 2013, I had an autologous transplant - my own stem cells - whereas allogenic is a tougher and riskier procedure, where you receive a donor's stem cells. Happily, Ailis' sister Brenda was a match and the transplant has been a success. So much of a success that Ailis has just returned from the British Transplant Games with a Silver in the 3k Walk and Bronze in the 10k Road Race Cycle. Ailis, family and friends have travelled a tough road at times. Part of the battle was to campaign for funding within NI of the drug Brentuximab. More details are at Ailis' Support Fund Facebook page which includes a photo montage of Liverpool successes. The word 'Inspiring' simply doesn't do justice to the resilience & spirit lived out by Ailis and family & friends. An audio interview with Ailis by journalist Gillian McDade is here. Arriving at MUSA, we met Julie Kelly. Tragically, Julie's sister Lynne died of cancer. Julie and some running friends have established Seapark Charity Runners to support two charities - Macmillan and Brainwaves NI. Julie explained that, as well as running her way around all Northern Ireland parkruns, she has also just completed 10 x 10k runs. It was good to swap notes with Julie about NI's parkruns - we were both impressed by the beauty of the Enniskillen course. Again today, here was human resilience and an outward-looking generative response to aftermath of a horrible disease. Julie and team's JustGiving page is here. Run Director Irwin Spiers gave a very warm welcome today, inviting me to say a few words to the runners and volunteers. Er, next time, I'll need to remember to click the mega-phone trigger button - but I'm learning and won't make that mistake again. The regular physio and rehab exercises after recent injury are doing the job of keeping my running condition ok. I'm grateful for the encouragement of colleagues John Purvis, Cathal O'Neill and Phil Lockett - the BT posse - who ran with me today. With Cathal timing, I got a 30 second walk-break every four minutes and still came in under 40 minutes... Good to be getting back on form. Thanks to the MUSA Cookstown team for the warm welcome today. We got in the car and headed home to Holywood, listening to Radio Ulster. On the same day that we met Ailis and heard about her success at the Transplant Games, serendipity struck. We were delighted to hear Lucia Quinney Mee speaking. The Quinney Mees are family friends and they, also, have faced a challenging road at times. Lucia, who has endured and come through three liver transplants, was also at the Transplant Games. Lucia won seven medals! Lucia's interview is on BBC iPlayer until 3-Sep, here, and her 6 minute story is worth listening to. Lucia has also recently created a blog, live-loudly-donate-proudly.org - I can recommend this excellent post. What a day... running performance regained, another friendly parkrun community, stories of resilience & support through adversity and a timely reminder of the vital benefit of transplants - a spur to renew our #TimPageFitForLife effort to give people an opportunity to sign up as stem cell donors. Today's album is here and next week I'll be at Colin Glen. A scenic and happily hill-free parkrun at Antrim with family, friends and colleagues present. The parkrun community thrives due to its volunteering ethos, and Antrim's Volunteers, including Event Director Kathy Hood welcomed us all, especially the 40 or so graduates from a recent Run-Anon Aidan Couch-2-5k programme. David Brady proved an effective co-runner on the course. I had emailed around BT's Belfast Software Engineering Centre and have been heartened by offers to run with me at future runs. Many runners aim for their PB - personal best. I offer a unique opportunity to experienced runners of achieving their PW - personal worst! - by running with me, and David gladly obliged. Aidan, pictured below, organises Couch-2-5k programmes in the area. We have met at previous parkruns. An effective & energetic coach, Aidan was roving to-and-fro encouraging people running their first 5k, and myself, thereby boosting psychological state & physical performance. Our world needs more of that. I was chuffed to receive my first piece of runners' bling - a "Run Anon" medal. Antrim proved to be the day for runners' accessories. Deirdre McKenney introduced herself as involved with Antrim parkrun. Deirdre's employer Dow Chemical is merging with DuPont and, given that BT recently bought EE, we were able to swap notes on our experiences of integrating corporate organisations. Deirdre opened up a bag and brought out ... a 2016 Olympic Torch! So, an unexpected photo opportunity! Design details of this year's Olympic Torch are here ... an interesting read. Finishing my 12th run felt significant this week. After stem cell transplant on 24 December 2013, Friday represented the half-way mark to the five-year-free-of-cancer milestone. On Thursday, with a couple of small lymph nodes persisting in my neck, I'd had a biopsy and the surgeon said I'd be ok to run. I'm feeling very well - stronger than ever - and such scares can happen occasionally for some cancer survivors. So we're hoping for a renewed all-clear in a couple of weeks. ... one of my lifelong mantras. No PB at Antrim this week, then, due to gentle running after biopsy. This week, especially, thank-you to Ruth, experienced co-runner David, Claire & Jamie, the McGlades, Patricia McCauley, torch-bearer Deirdre, fellow-runner Claire McDowell Williamson and Aidan for their strengthening support. Presence and encouragement are very significant. Looking forward to running Carrickfergus next week. Antrim photo album is here. Facebook's photo viewing experience is better, album here. With BT Riverside Tower a mile and a half away, Ormeau was, as David Mark said the "BT home match". I really appreciated the great support this week from many colleagues at this beautiful course on a midsummer day. Thanks, also, to Sue from RQIA who came and ran alongside me. Our BT posse included Gavin Raby (technology consultant), Gavin "Head Up" McBride, Raymond "Who's under 25 or 30 minutes?" Fullerton, Mark "I've just run 10 miles" Crothers and PB-seeker John Purvis. In 52 years, I don't recall being in Ormeau Park. It's another beautiful place - recommended for a walk or run. From the first of the 22 parkruns, my target has simply been less than 40 minutes. However, I mentioned to Gavin and Mark that this time - with a flat course and unprecedented support - I had the PB from Limavady 35:42 in my sights. Run Director Gerard Walls gave everyone a warm welcome. We chatted briefly before the run and it became clear that here was someone promoting health and well-being locally. Gerard agreed to a video interview after the run before he moved on to guiding the Couch 2 5K participants arriving at Ormeau later that morning. Once again, I struggled to keep my head up as the run proceeded. 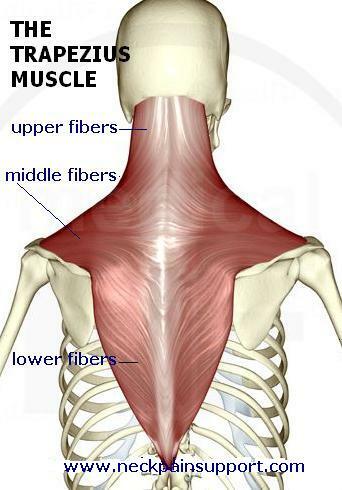 I seriously need to keep working at the conditioning training, including a specific focus on strengthening my trapezius muscle. Thanks to the Ormeau Volunteers and the posse running with me for encouragement around the course. I was pleased, after some exertion, to have knocked 29 seconds off my PB, now down to 35:13. After the run, with Ruth as camerawoman, we recorded this video interview. As a Health Promotion Specialist, Gerard works within the community, including with people facing challenging circumstances at home, work and/or some sort of trauma. Gerard encourages people to look at health in a holistic way - including mental, physical, emotional and environmental angles. "It's down to resilience" and "taking life by the horns" to live life in ways that promote happiness and well-being. Considering the demands of life and work Gerard asks "are you taking time out?" For people in the Ormeau area, here's information on resources. Zooming out, there is also the wider Jog Belfast initiative including Couch 2 5K and Beyond 5K. Information at UK national level is here. The Ormeau photo album is here. Looking forward to Antrim next week!